. يعمل فندق نوفوتيل ويلنجتون على ضمان إقامة مريحة لضيوفه من خلال خدماته الممتازة وحسن ضيافته. يقدم الفندق فرصة للاستمتاع بشريحة واسعة من الخدمات بما فيها: خدمة الغرف على مدار الساعة, مرافق مخصصة لذوي الاحتياجات الخاصة, خدمة صف السيارات, صف السيارات, خدمة الغرف . استمتع بوسائل الراحة الراقية في الغرف أثناء إقامتك هنا. بعض الغرف تتضمن تلفزيون بشاشة مسطحة, اتصال لاسلكي بالإنترنت, غرف لغير المدخنين, مكيف هواء, تدفئة لمساعدتك على استعادة طاقتك بعد يوم طويل. كما أن مجموعة الخدمات الواسعة الموجودة في الفندق لضمان راحتك تترك لك الكثير من الخيارات لقضاء وقتك أثناء فترة إقامتك. يحظى فندق فندق نوفوتيل ويلنجتون بموقع ممتاز وخدمات يصعب منافستها. The hotel has a very good location and the cable car lane is just right beside the hotel. The room is spacious but the pillows and bed are too soft. We stayed for three nights with our young grand-daughters. The staff members were all extremely friendly and helpful. The family room was ideal and we all enjoyed the breakfasts which included a very varied range of items from which to choose. We were able to walk comfortably to the main city attractions. All in all, a delightful stay in Wellington. 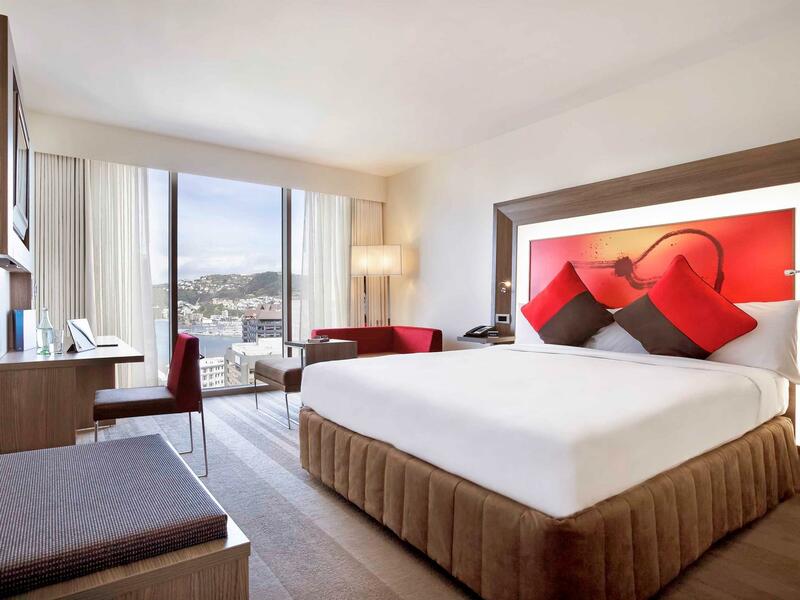 Looking for a hotel centrally located, basically just to sleep in between enjoying the city, bars and vive of the city? then you are just right here. certainly not romantic or charming, but clean, modern and convenient. 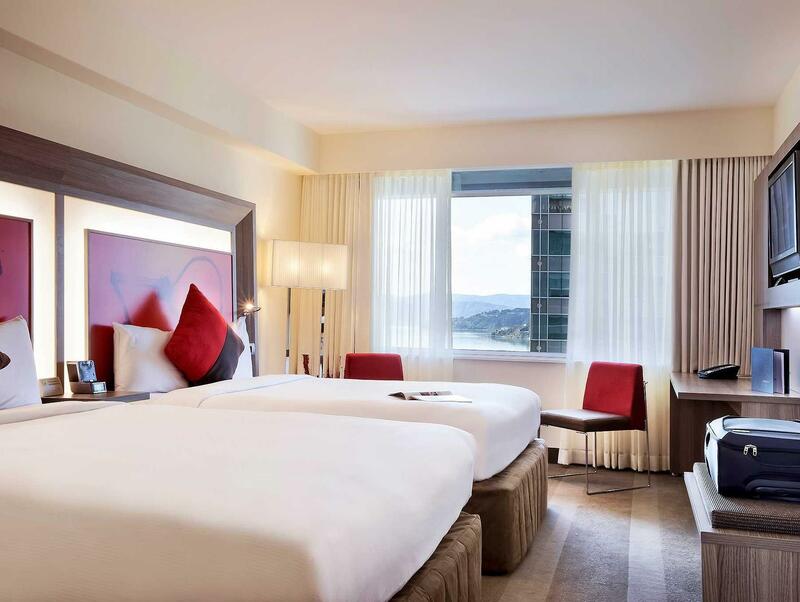 This hotel is located in the city center, although it is not in Lambton quay area but we can access to it via lift near the restaurant. It will get you down to the lambton quay, the shopping district and city center. What is great from this hotel is the hospitality, all of their front staffs are very friendly, helpful, and attentive. I loved the location right in the centre of town, the two big double beds ons the rooms were ideal for when traveling with a young child, the staff we very knowledgeable and friendly. My stay at the Novotel was very good I have stayed here several times and will continue to do so. Everything is as you would expect it to be for a four star hotel. The breakfast is good and the rooms are nice. My only small complaint is that the parking is limited and not free however there is a public car park right next door which the Novotel have an arrangement with and it costs NZ$ 20 per day. 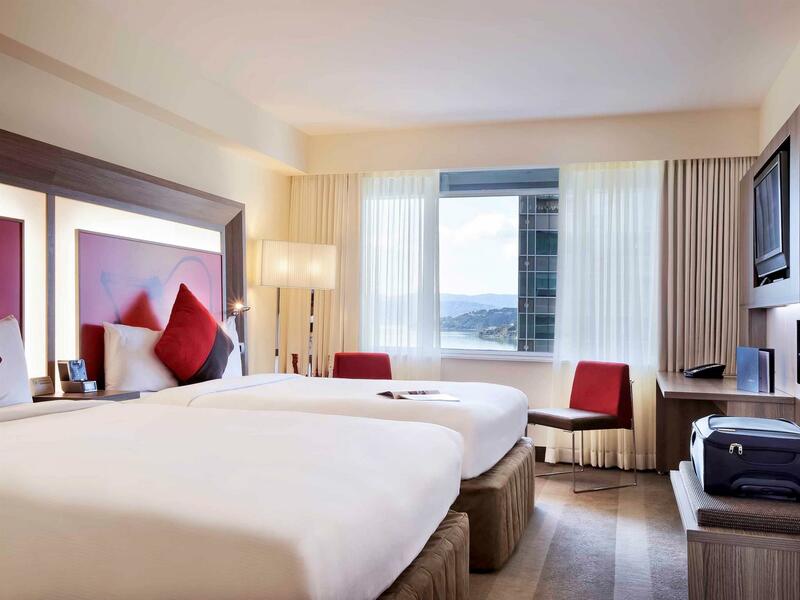 We had a great stay at the Novotel Wellington. It had direct access down to Lambton Quay and was in walking distance to all the shopping and nearby sites. The rooms were clean and very comfortable and although WiFi is not free in the rooms, you can access the internet in the lobby for free. Overall staff were nice and it was comfortable. The location, staff and service. The location is ideal for inner city business and shopping. Staff were friendly and helpful, both on the Reception desk and in the dining area. Service was prompt and efficient. I did not eat at the hotel except for breakfast, which was very good, buffet-style. I would return again when next in Wellington and wanting a downtown location. 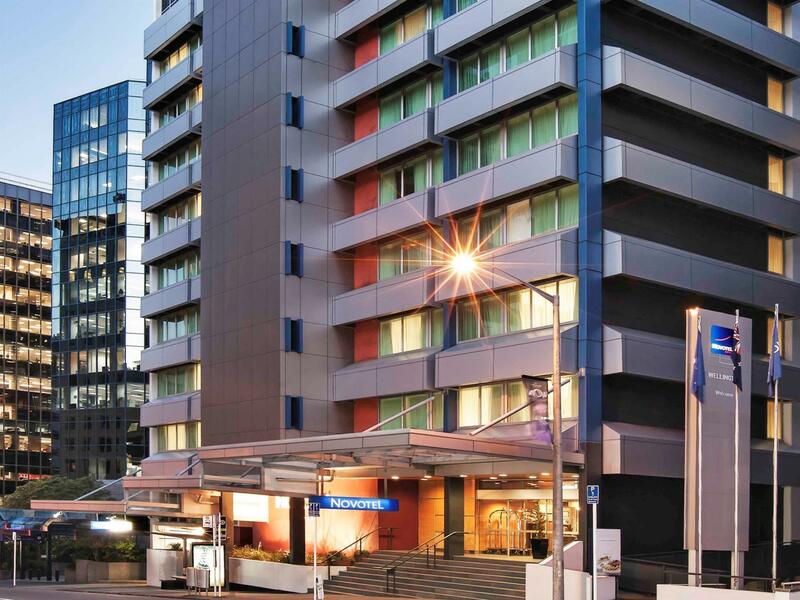 We had a lovely night at the Novotel Wellington, the location was fantastic and allowed us to easily walk around the city centre and had ready access to food. We were a bit surprised that breakfast wasn't included in the room (to be fair I hadn't checked prior to arriving) but were easily able to find somewhere nearby. The rooms were nice and warm which was great given we were there in mid-June. Every one of the staff were amazing. Rooms were good sized, with good views (we chose the harbour and city view). New Zealand also has some of the friendliest people on earth, that made our stay memorable. Baby cot available on request. Room was adequate, although mine had a leaking basin which wet the floor whenever the tap was on. Location was good for exploring cable car. Food option is slightly limited for dinner as it's the CBD area which caters for office crowds. Gotta walk about 15 mins for more food options. Mattress and Pillows can be more firm will be much better. 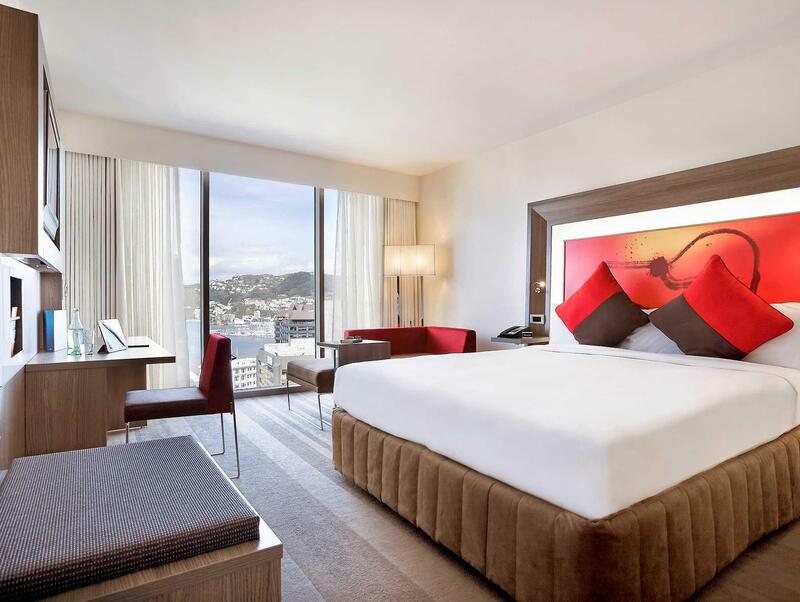 The hotel is conveniently located in the heart of the business side of the city and what's really good is how close it is to the cable car. The rooms are smartly designed to maximise on space and storage and everything was quite modern and up to date. I would stay here again. Our Novotel room was clean. The hotel stall was friendly and helpful. The location was close to shopping, food, and easy walking to museums and other points of interest. 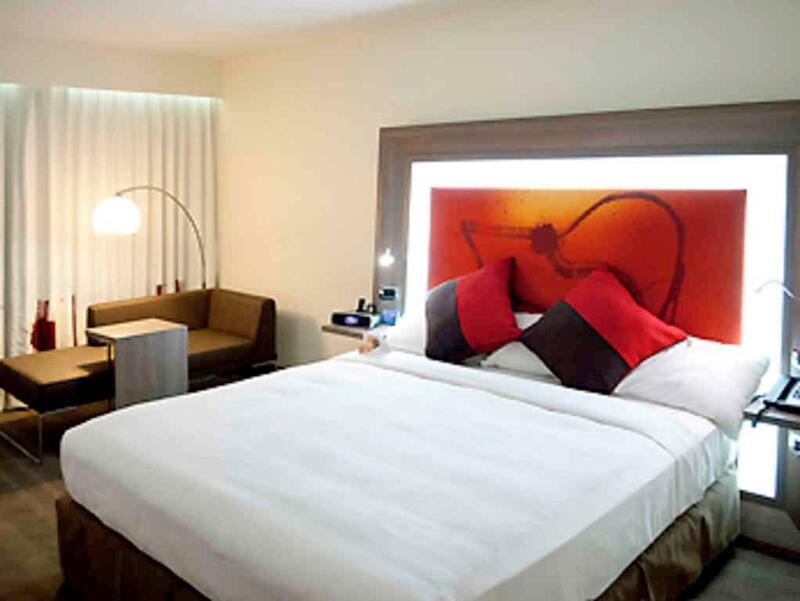 I would recommend this hotel and I will likely stay at other Novotel Hotels in the future. Very clean hotel but room was cramped. Good central location but have to pay for the little bit of wifi. Also no onsite laundry - have to go to their sister hotel The Ibis to use laundry (about 1 -1/2 blocks away). Staff was very cordial. Our stay at this hotel is when the earthquake strike, we were on the 4th floor and the whole room was vibrating and swinging side way. What an experience but thank goodness everything was ok. This hotel is modern, business class but internet is not free. They have an elevator that lead you straight to the shopping district which is very convenient. We had an excellent time from the time we walked through the door. Wonderful front desk staff, they gave our little boy 2 toys (soft toy and changeable bendy straw) as a welcome present - he was rapt. The room was lovely, nicely decorated, clean, attractive (room 306), big tv, comfy bed, fluffy pillows, great selection of hot drinks/teas. Lots of hot water for shower and bath too (only small negative was turning on the shower was a bit awkward). Excellent buffet breakfast. Shame Internet access wasn't free. Also sorry to say the room service dinner wasn't nice at all - overcooked fish, very raw vegetables, the nachos weren't nice either. This didn't detract from our overall stay at all, just a bit disappointing. Very centrally located with Lambton Quay straight down in the lift, close to bus stops, lotsa shops and fast food shops. We would definitely stay here again. Nice location in the city centre. Staff were very friendly and helpful. Room wasn't big, but enough for the two of us. Was a bit surprised that they only provide soap, body shampoo and moisturiser in the toilet. Ideal location for what we wanted - waterfront museums, rugby and cable car. We arrived early evening on the ferry and hired a car - finding the hotel and parking was intimidating to us UK visitors . Parking is in nearby car park - we should have got a cab and picked a car up when we left. Breakfast was great and lift down to Lambton Quay a real bonus. Room was high quality and modern.